Can also be applied to thin and dehydrated skin, where the upper face and neck need attention and extra firming. 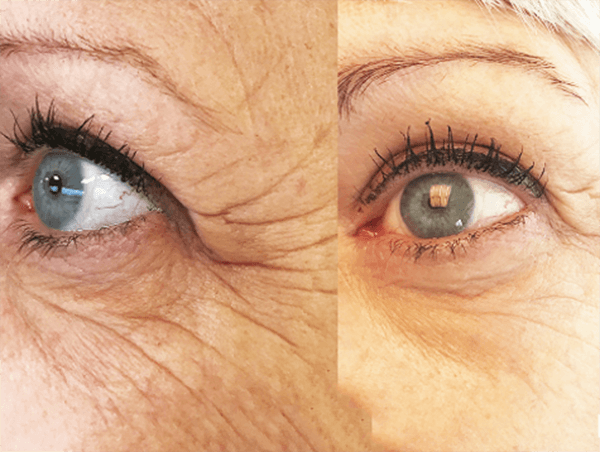 MESO EYE LIFT is an effective meso cocktail developed to prevent the skin’s signs of ageing. The meso cocktail contains all the intermediate substances in the Krebs cycle. DMAE and carnosine, both of which are known for their firming and strengthening properties, are the central energy-giving part of aerobic oxidation. MESO EYE LIFT stimulates and activates the relative enzymatic functions on the mitochondria, which act as the cell’s power plant. It removes the barriers that occur in the cell’s onset of the lactic acid phase. Our skin ages as a result of different internal and external factors. Our genes play an important role, but other parameters such as smoking, diet, UV rays, stress and hormones also have a major effect. In all instances, ageing damages both the skin cells, molecules and the extracellular matrix. The result is a visible loss of elasticity and firmness of the skin, which becomes wrinkled and loose. When the body and skin fibroblast ages, there is a drop in the synthesis and in the maintenance of the extracellular matrix. MESO EYE LIFT slows down this decline by adding the nutrients needed for the fibroblasts to function optimally and to gradually renew. 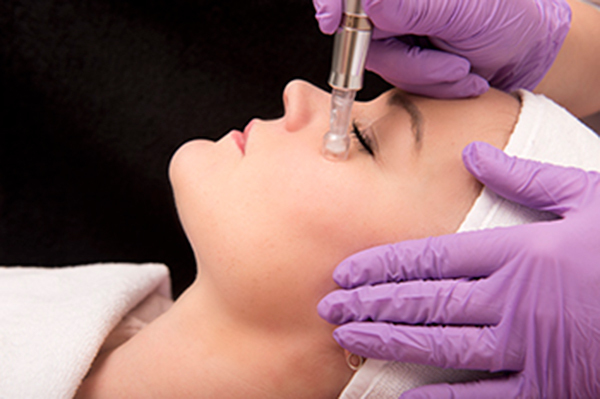 MESO EYE LIFT contains dimethylaminoethanol, or DMAE, which is known to increase the skin’s firmness. Another important ingredient is dipeptide carnosine, a derivative of histidine, equally known for its firming properties. 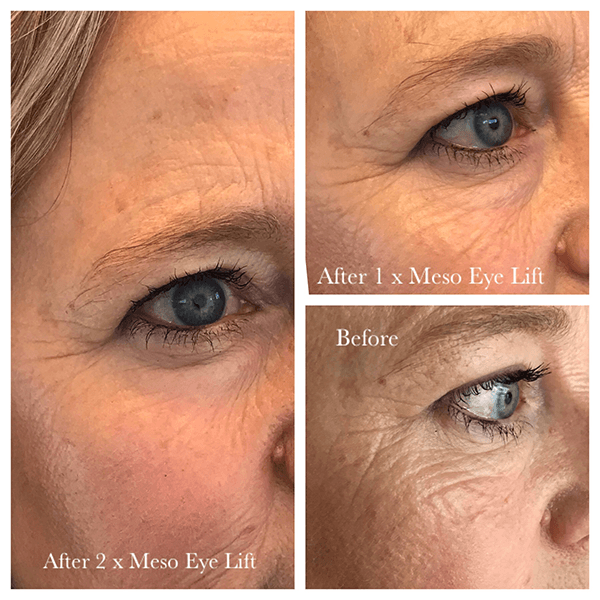 MESO EYE LIFT has no side effects, and the treatment is compatible with other meso cocktails and botulinium toxins. It is therefore both a gentle and effective agent for firmer and stronger skin. The meso cocktail is also negative in doping relationships. Improves the skin’s moisturising effect, captures free radicals and protects against further wearing. Silicium is a natural trace mineral and an essential component of the skin. By interacting with elastic proteins in dermis, such as collagen fibers, elastin and proteoglycans, the Silicium ensures optimal healthy solid skin structure, connective tissue strength and elasticity. In addition, many studies indicate that silicon is capable of stimulating skin cell metabolism (e.g. collagen production, contractility), strengthens the cartilage, promotes wound healing, and strengthens both skin and mucous membranes. Several studies have shown that the current use of DMAE can significantly enhance the appearance of the face and its rejuvenation. It has been supplemented with the components that help to correct the development of muscle tissue, aging and fatigue, cellular resuscitation, muscle stimulants, adynamia and muscle fatigue.